Congratulations to Jason McEuen! 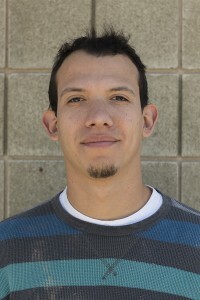 He was named Magleby Construction Employee of the Month for February. 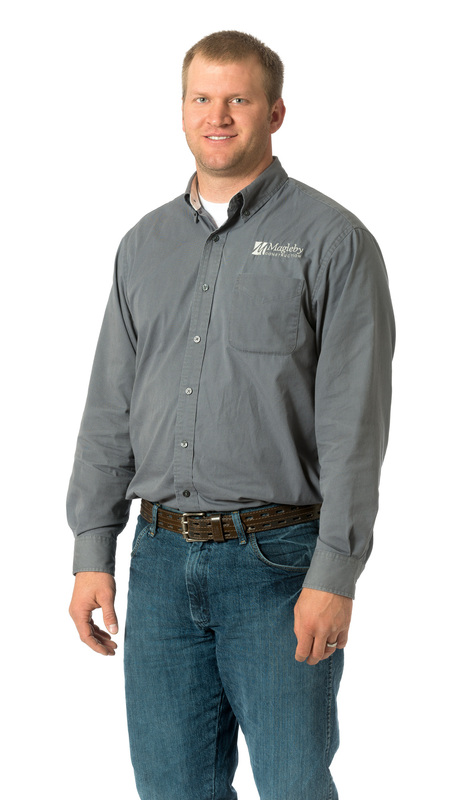 Jason has been with Magleby Construction since May of 2014. He’s currently filling the role of Project Manager in the Remodel Group and is doing a fantastic job at it! His co-workers say Jason “goes above and beyond on a daily basis. 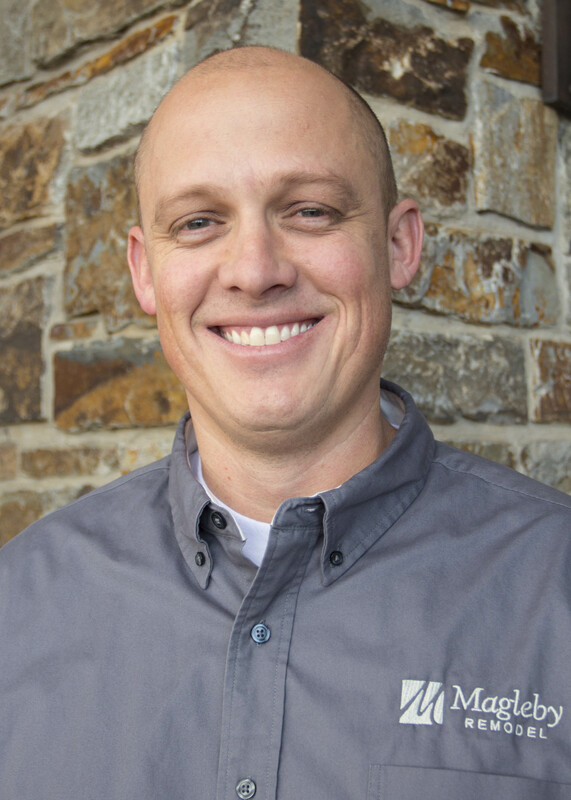 He is constantly putting the customer first and making them a priority.” Jason worked his way from the Carpentry team as Finish Manager to where he is today and he’s earned every bit of the promotion. Thanks for being part of the team, Jason! 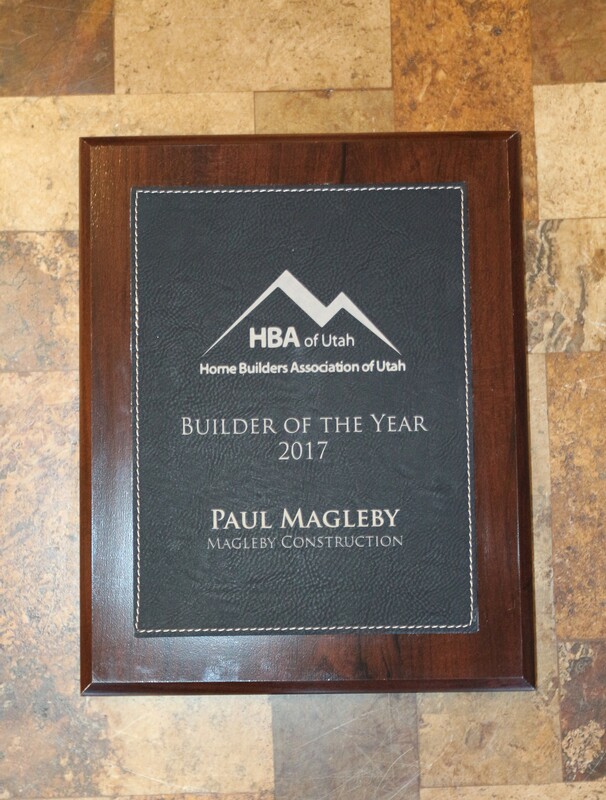 Magleby Construction would like to recognize Paul Magleby for receiving the “Builder of the Year 2017” award last Friday night at the Annual Utah Home Builders Association Denim & Diamonds Awards Ceremony. 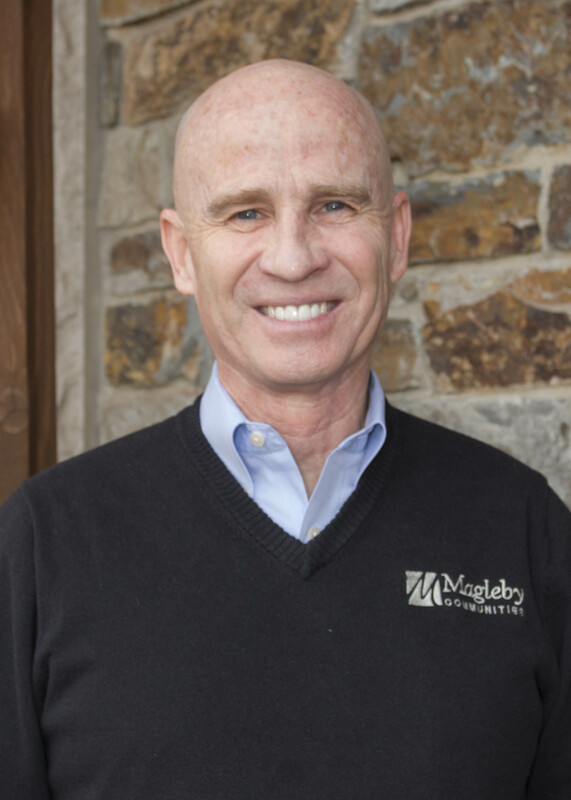 Paul Magleby, founder of Magleby Construction, set out to make a difference in the building industry. 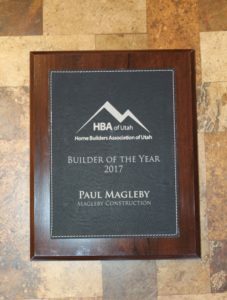 With his persistent dedication to a higher standard of building, Paul led Magleby Construction to excellence and has passed on a legacy of professionals dedicated to building excellence. 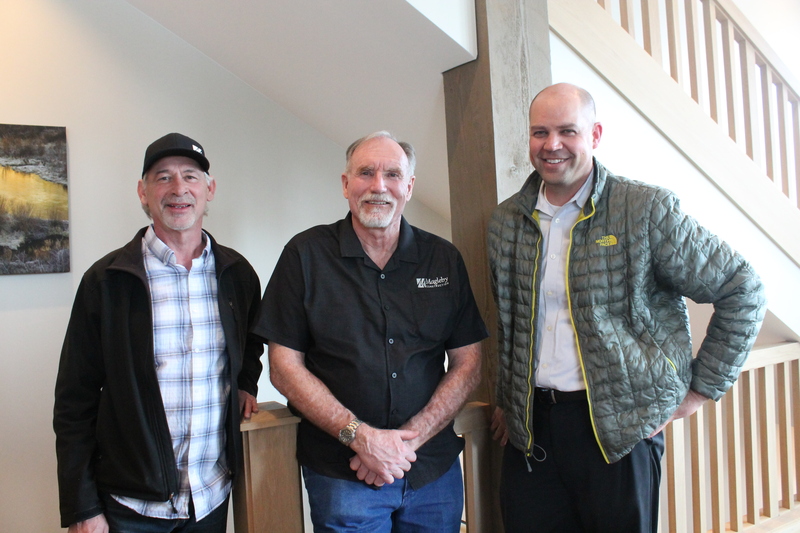 Magleby Construction was asked by the Highland Group to build a custom doghouse that they would design for the benefit of the Huntsman Cancer Institute. This dog house will be auctioned off at an exclusive gala on November 2nd at the Grand America Hotel. The Huntsman Cancer Institute is unique in that 100% of the funds raised go to cancer research. The Huntsman Family themselves underwrite the Foundation and staff salaries so it is possible to do that. Several Magleby employees went above and beyond taking pride in every detail and personally performing a majority of the work. In addition to all their construction expertise and personal craftsmanship they also helped solicit donations from trade partners, negotiated discounts, and found 9 BYU Construction Management students who volunteered their time on the project. Magleby Construction is proud to support their community and worthy causes. Magleby Construction’s Pig Roast was a success! Thank you to all of the close to 300 Trade Partners for attending the luncheon and for supporting Magleby Construction. We wouldn’t be able to achieve our goals of excellence without you! 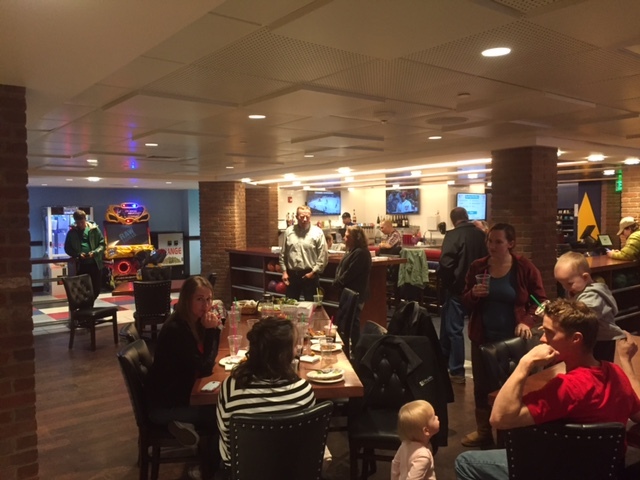 Thank you to all the Magleby Employees who helped roast the pigs and make this possible! 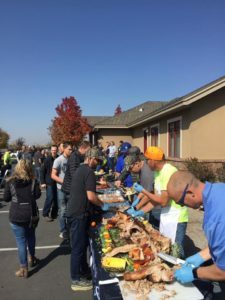 Magleby Construction continually looks for ways to reach out to our local vendors and show appreciation. 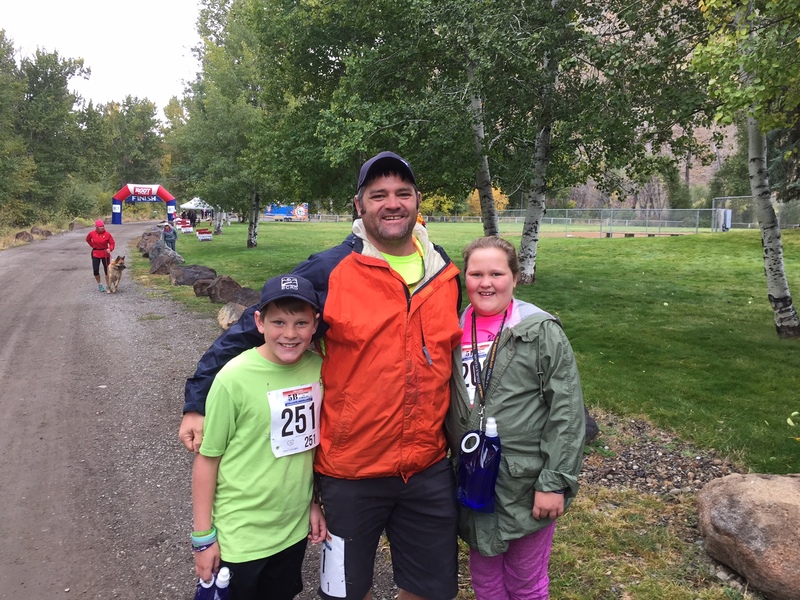 Congratulations to the Sun Valley team and their families for completing the 5K race in Ketchum, ID this last weekend and thank you to all those who participated! One of Magleby’s wonderful employees, Nathan, had two children win 1st place in their age categories! Congratulations! Magleby Construction would like to recognize Dusty Martin as employee of the month for September 2017. Congratulations Dusty! On October 1st we celebrate the 31st anniversary of the day Dusty joined Magleby Construction. 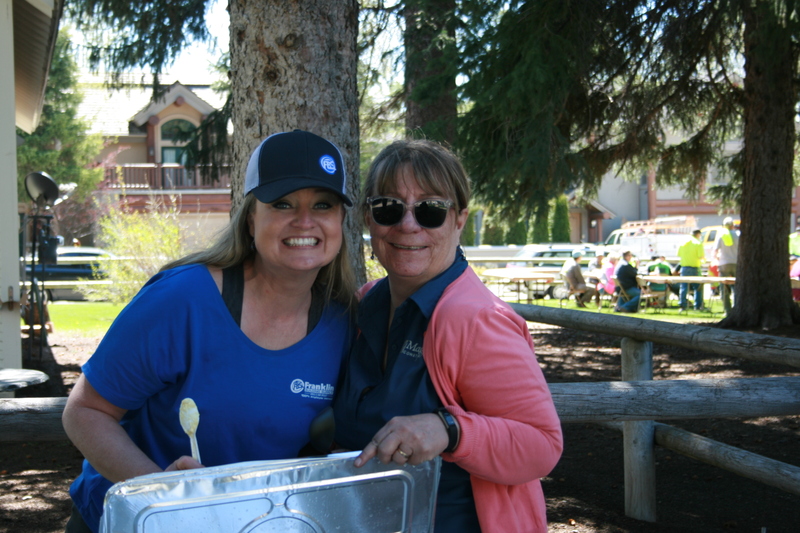 We are so fortunate to have such a kind, helpful, bright person on the Magleby Team. Dusty is always willing to help those in need and he does so much for the company to ensure we are operating smoothly. Congratulations Dusty! We are so lucky to have you at Magleby! 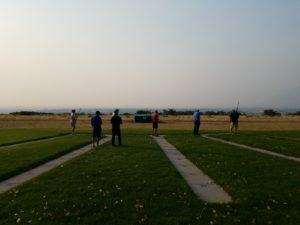 Announcing the winners of the annual Magleby Fall Trap Shooting! First place goes to Aaron Bufton with Chad Greenwood and Scott Hudson following close behind! 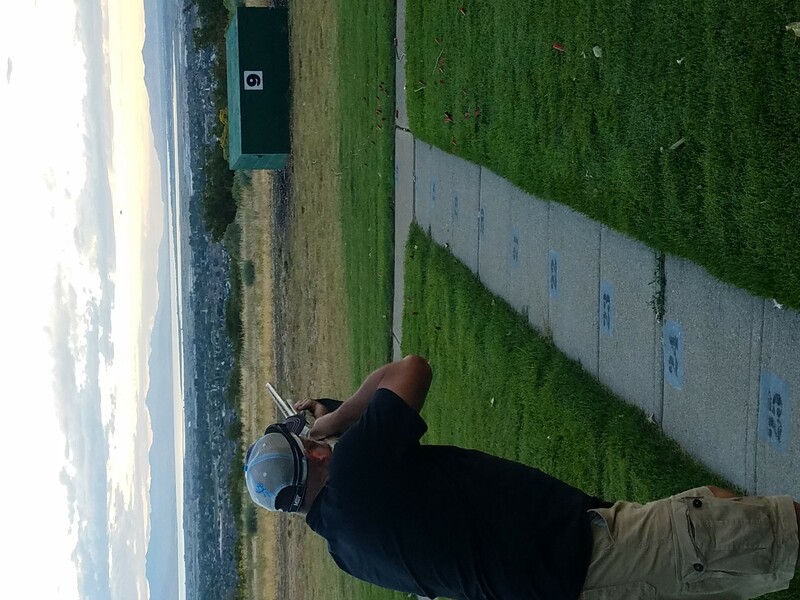 Thank you to the Magleby employees who participated in this activity and congratulations Aaron Bufton for winning first place! The Magleby Fall Trap Shooting is just one of several enrichment activities Magleby provides for its employees to interact outside of work. If you haven’t had a chance to check out the video for this amazing tear down and rebuild that we did in Park City, here’s another chance to click on the link below to check it out. This before and after shot shows the existing home that was there and the beautiful Magleby home that replaced it. City mandate required that the team retain the existing home foundation. Our skilled team was also able to transform the property while maintaining the established neighborhood character. And for more information and pictures of Magleby Construction homes and Groups, visit our web site at www.maglebyconstruction.com. Congratulations Joseph Newell! Joe was awarded employee of the month for August 2017! Magleby Construction is privileged to have such hardworking and loyal employees such as Joe. 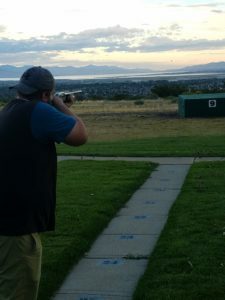 Joe jumped into the fast paced Magleby Communities project at Juniper Bend in Herriman and pulled off a beautiful model home in time for our Salt Lake Parade of Homes. 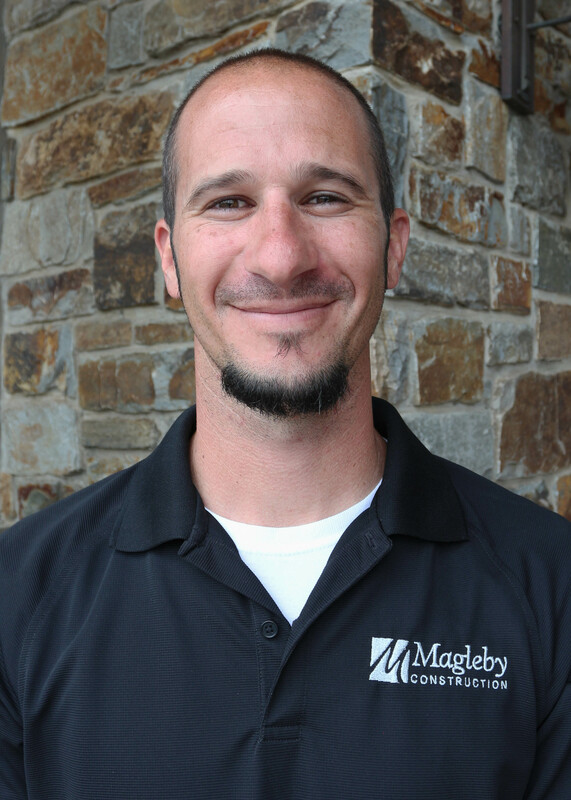 Always doing an outstanding job, creating trust with trade partners, and finishing strong… Magleby Construction is proud to have Joseph Newell as a part of the Magleby team. Congratulations Destry Simpson for being recognized as employee of the month for July 2017! Destry is a hardworking employee who delivers value in everything he does. 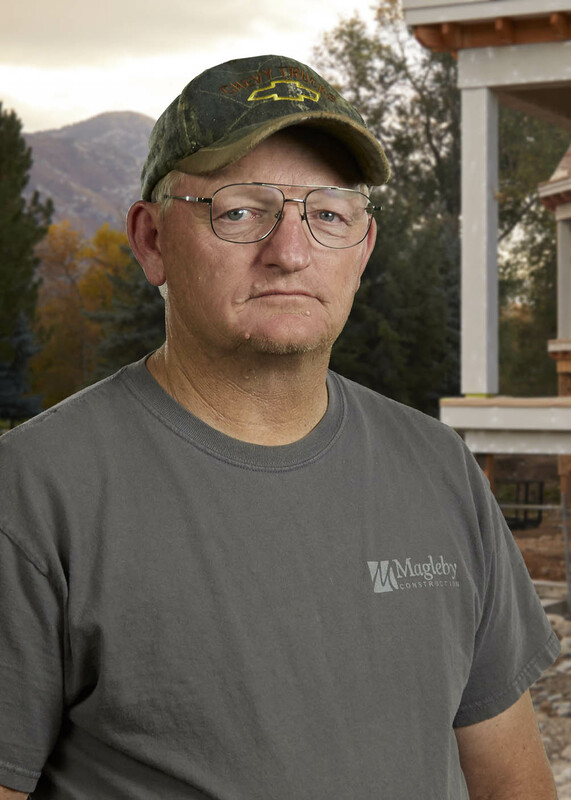 Destry works for Magleby Construction Sun Valley and leaves no stone unturned. 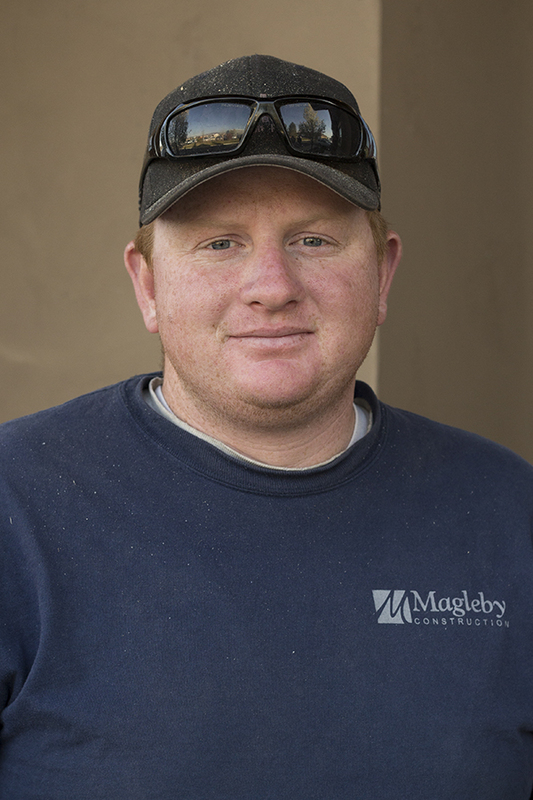 Magleby Construction is pleased to have such amazing employees such as Destry. Magleby Construction names Tom Cooper as employee of the month for June 2017! Anyone who has the privilege of knowing Tom is blessed with his kindness, hard work, and dedication. 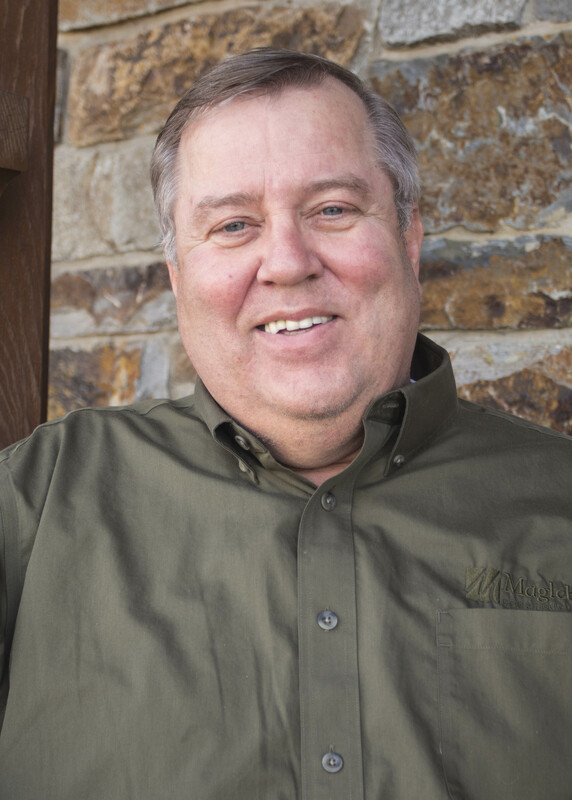 Tom has become, through his diligence and hard work, an incredible asset for Magleby Construction. He always works hard to ensure the total success of the Company regardless if that activity is his specific responsibility. 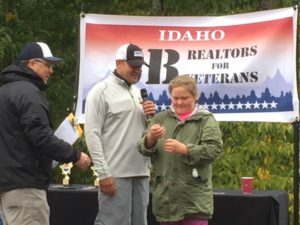 Magleby Construction would specifically like to thank Tom for the enormous amount of work he has done, and continues to do, for the Parade of Homes show. Tom showed a perfect example of professionalism and personal accountability during this year’s Parade. Thank you for being a customer service champion, Tom! Congratulations! 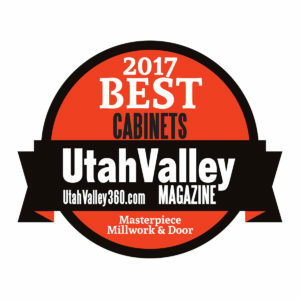 Check out this article “Seven Trends from the Best in American Living Awards” where Magleby Construction is shown under trend #7. Are you in need of some fitness advice? Magleby Construction’s very own Travis Guymon has experience as a personal trainer for Gold’s Gym. Travis learned about client assessment, program design, implementation, and program progression during his time as a personal trainer. 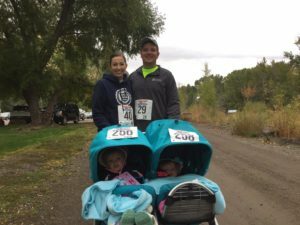 Travis can also provide general nutrition coaching, macronutrient/caloric break down, and personalized target heart rates at various intensities. 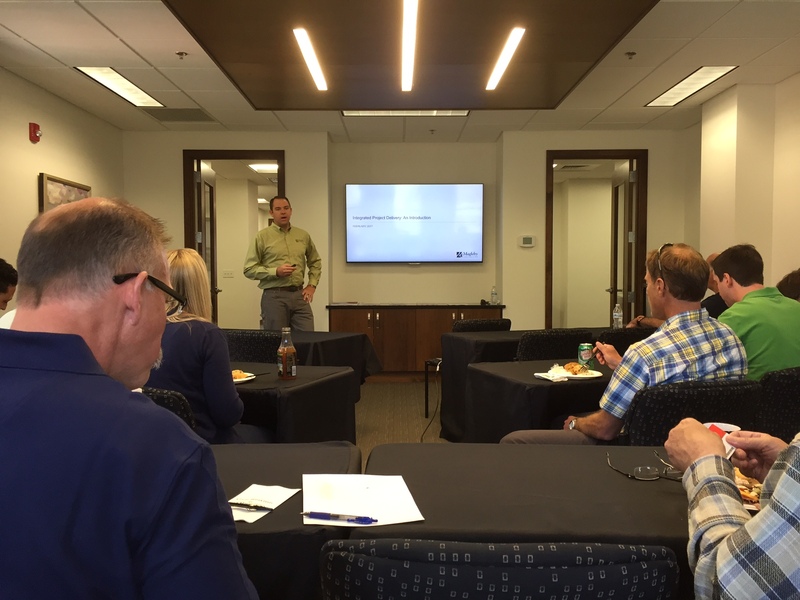 Magleby Construction Sun Valley recently hosted a “Lunch & Learn” for the architects who do close work with Magleby Construction Sun Valley. The class taught was Integrated Project Delivery, one of many classes architects are required to take to renew their license every year, approved by the American Institute of Architects. Magleby Construction appreciates our trade partners and sees value in educating all those who are part of the home building process. The Paul M. Magleby Scholarship was recently awarded to Zach Hassell at Magleby Construction! 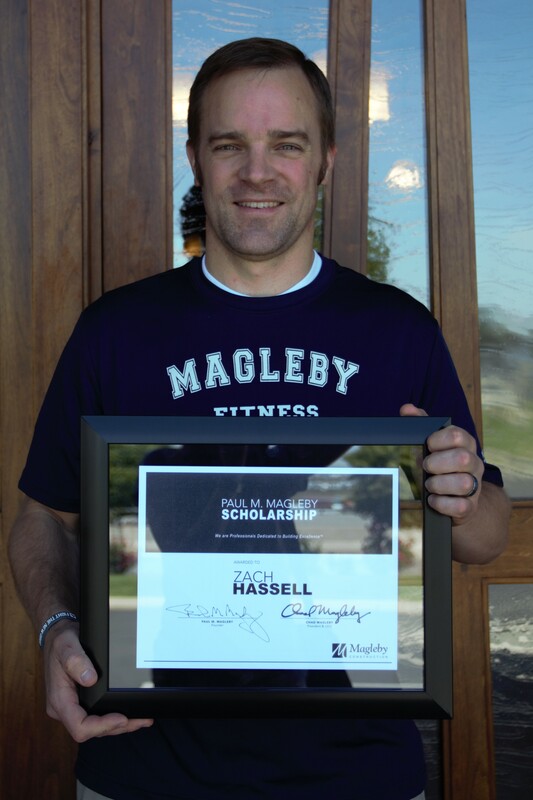 Zach applied and qualified for the scholarship offered to all Magleby Employees. 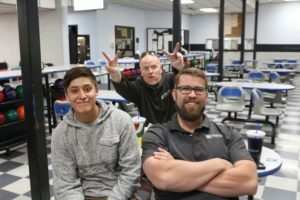 Magleby Construction encourages employees to further their education by taking advantage of the many opportunities Magleby Construction offers, including the Paul M. Magleby Scholarship. 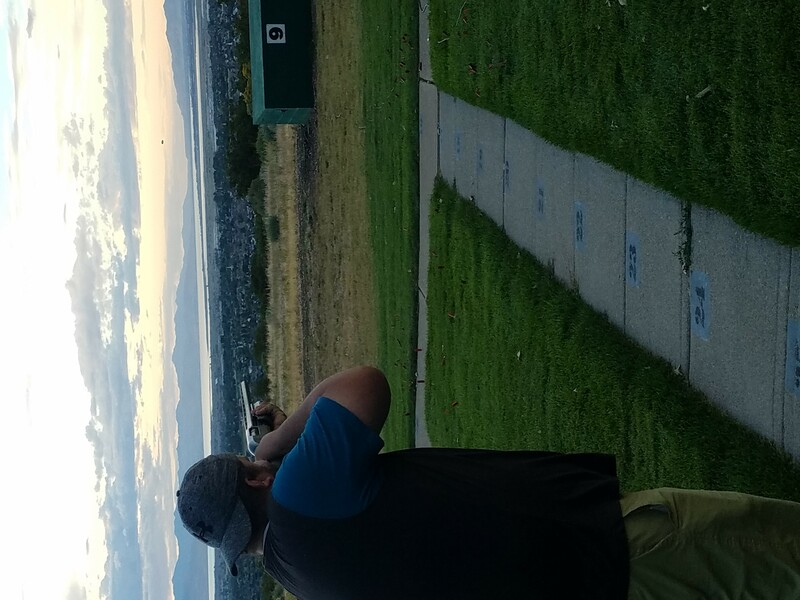 Zach will be using the scholarship to take classes at BYU this summer. Congratulations Zach! Magleby Construction has named Marco Arana as the employee of the month for May 2017! Marco is a team player and a hard worker. He actively seeks knowledge and understanding of Magleby Construction’s systems and expectations. He is always first in line when someone is in need of help and he sits on the front row of every class he is given the opportunity to take. Marco sincerely cares about the company and exceeds the expectations of those around him. Congratulations Marco! 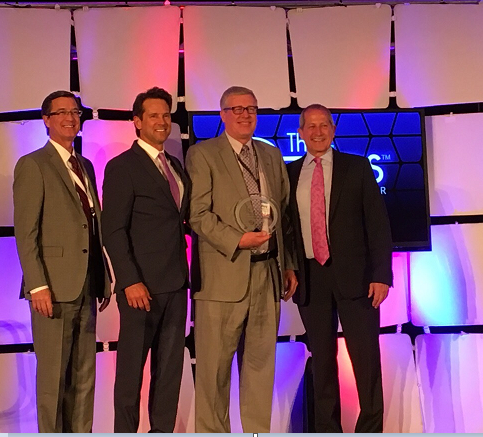 Last week Magleby Construction was represented by Brad Simons (CFO) at the PIL Accountability Plus Conference in Washington DC where Magleby Construction was awarded a Silver Ozzie! Attendees and presenters represented a wide range of industries from the US and around the globe. 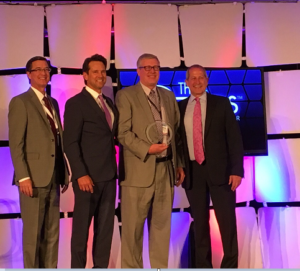 The Ozzie Award is given by Partners in Leadership who recognize organizations that have embraced the program, used it to enhance their culture, focused on employee growth/improvement, and elevated their Key Results. 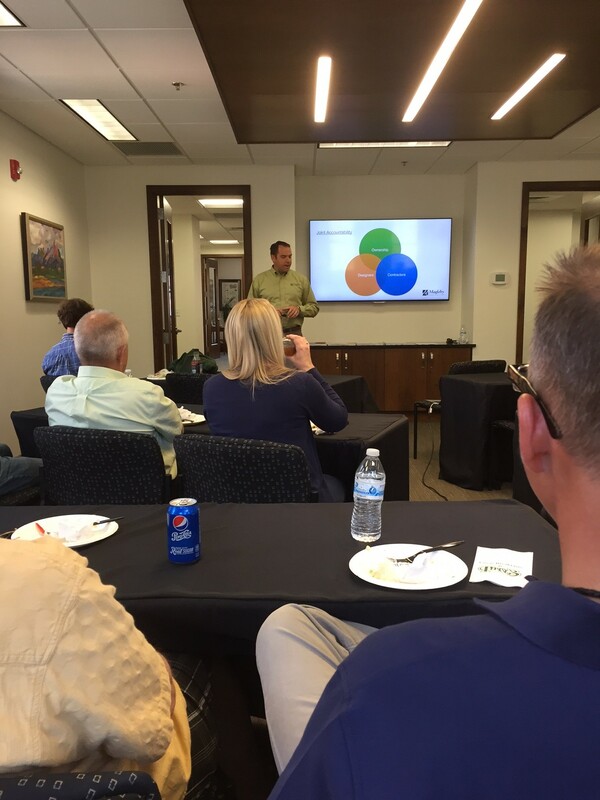 Magleby Construction works alongside with Partners in Leadership to improve the company culture and conduct Accountability Training as we reach new heights and make a measurable impact in all we do. 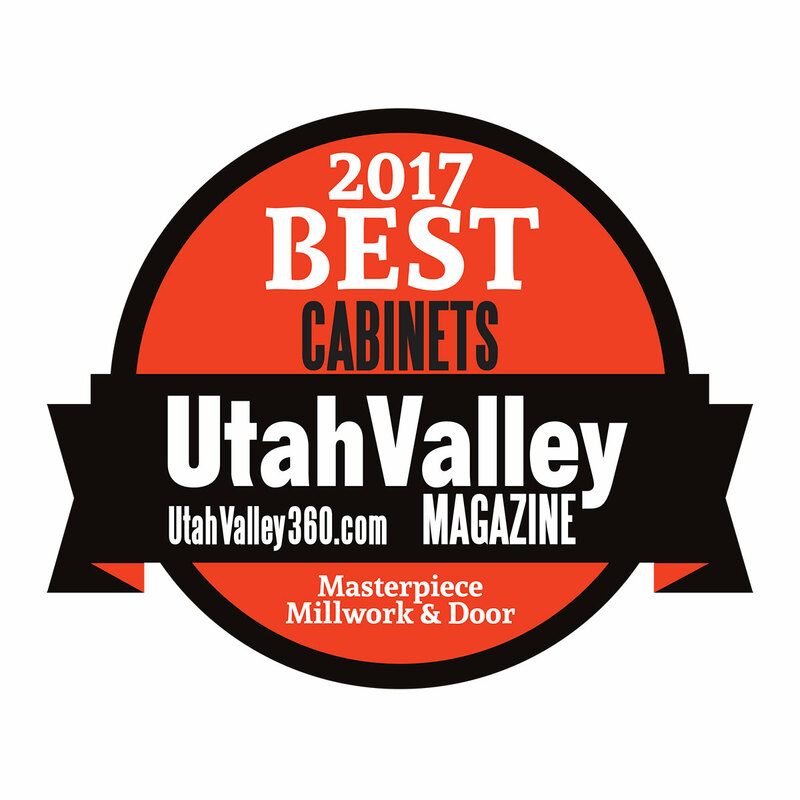 Magleby Construction is pleased to announce that our very own Masterpiece Millwork & Door team was recently ranked in the Top 3 for “Best Cabinets” by Utah Valley Magazine! Even more impressive- this is the 4th year in a row that Masterpiece has been in the Top 3. 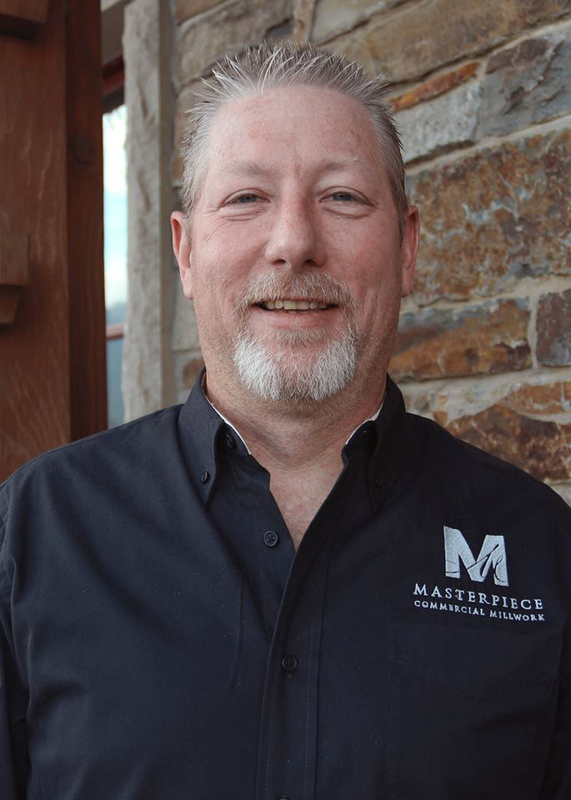 Congratulations to the entire team at Masterpiece that continues to produce the highest quality product with passion and commitment to excellence. 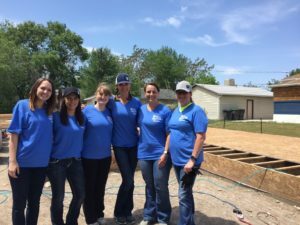 For the third year, Magleby Construction’s office staff volunteered their time to help build a home for “Habitat for Humanity” during National Women Build Week. 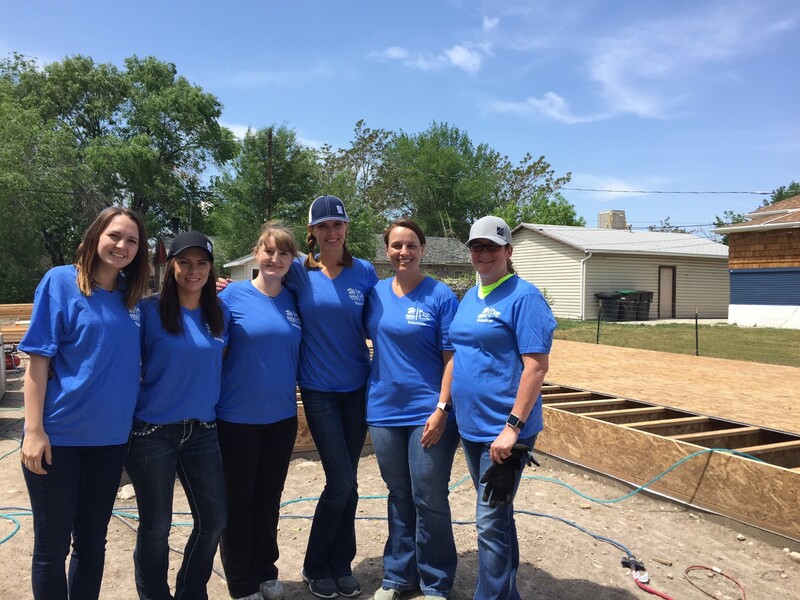 We were thrilled to be able to grow our volunteer staff by sending six women and one male (with his wife) to contribute to building the floor and a 40’ wall in the home. 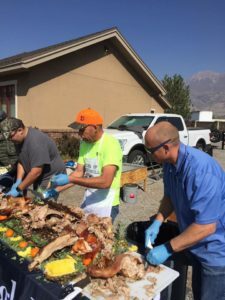 This is just one of the things that we do at Magleby Construction to give back to the community. 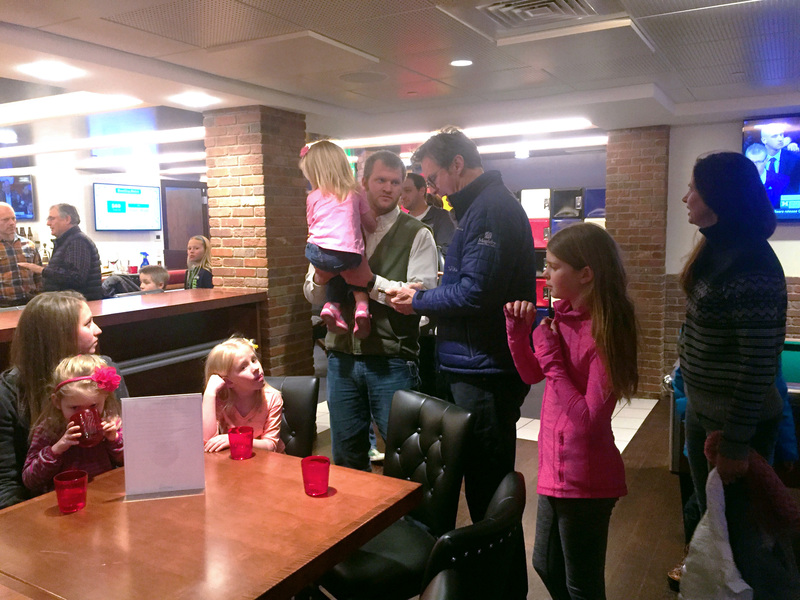 We were humbled and proud to be able to help out a family in need. Habitat for Humanity is a national program that unites diverse groups to improve the lives of individuals, families, and communities by building, renovating and repairing homes. Congratulations Allen! Magleby Construction has named Allen Rasmussen as the employee of the month for April 2017. Allen is not afraid to take matters into his own hands in order to get a job done on time and excellently. Allen delivers value through customer service and always does the job right. Magleby Construction is proud to have dedicated employees such as Allen. Thank you for all you do Allen and congratulations! 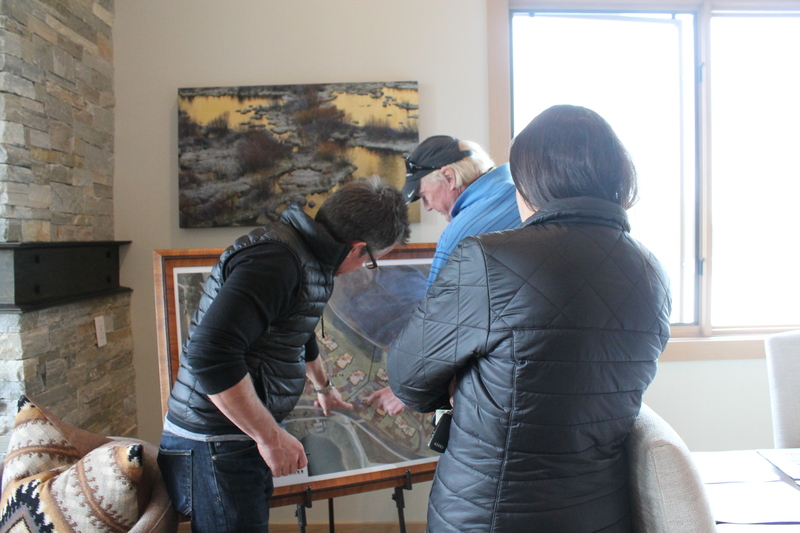 The Sun Valley team at Magleby Construction– in partnership with Zion Bank and White Clouds Residences– hosted an open house event to introduce the upcoming Phase 2 of the Diamondback at White Clouds development last week. 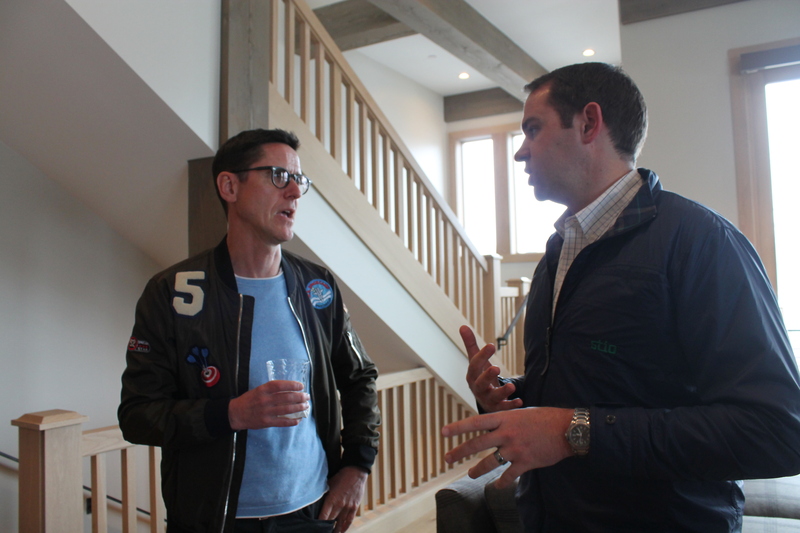 Close to 200 architects, realtors, trade partners and other Sun Valley VIPs all gathered to see a finished townhome in Phase 1 and to view the upcoming plans for Phase 2. 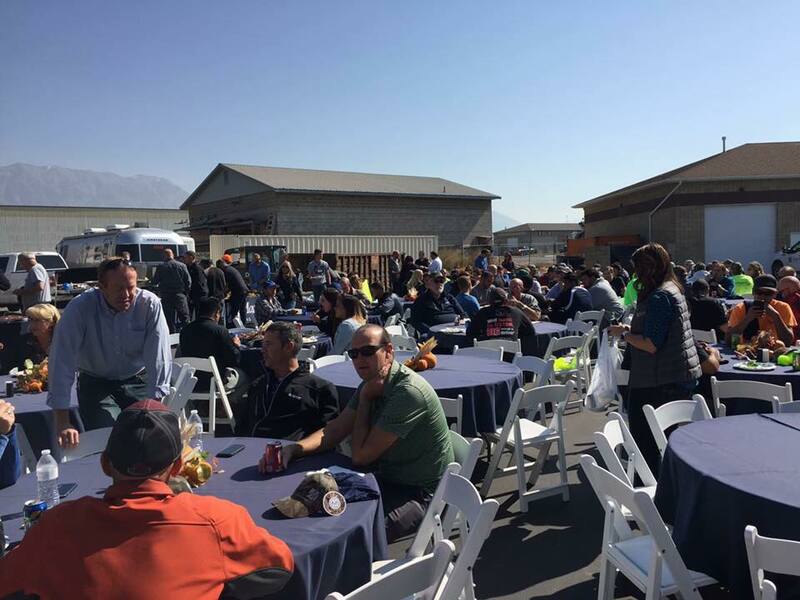 Congratulations Magleby Construction Sun Valley for hosting this very successful event! 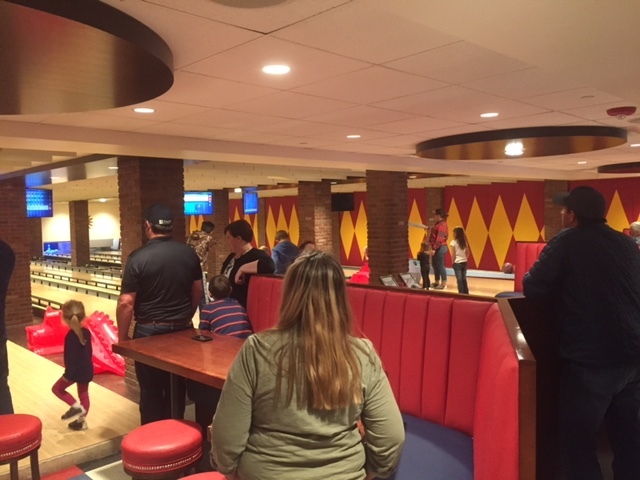 Magleby Construction Sun Valley had a fun Family Enrichment activity last Tuesday at the Sun Valley Bowling Alley where employees and family got together for pizza and bowling! Competitions were won, laughter was heard, and fun was had! Magleby Construction strongly believes in the bond of family and the importance of improving those relationships. 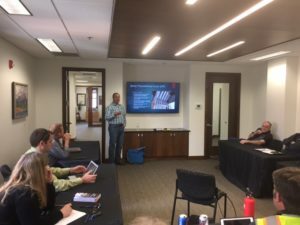 Magleby Construction commits to ongoing training and education for our employees. 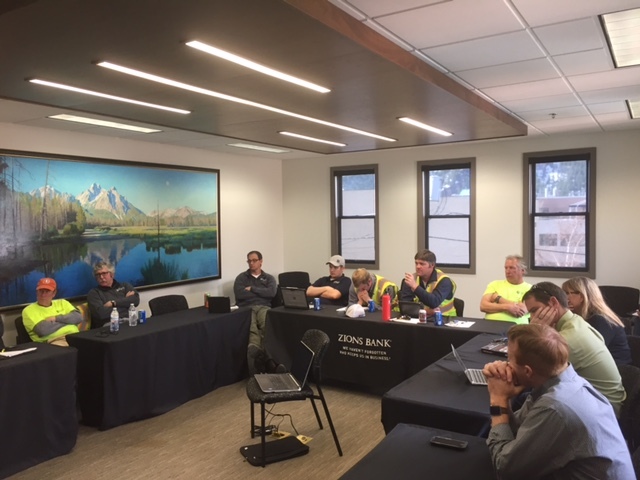 Magleby Construction held a Building Science training at Zions Bank in Ketchum, Idaho for the Magleby Construction Sun Valley team. 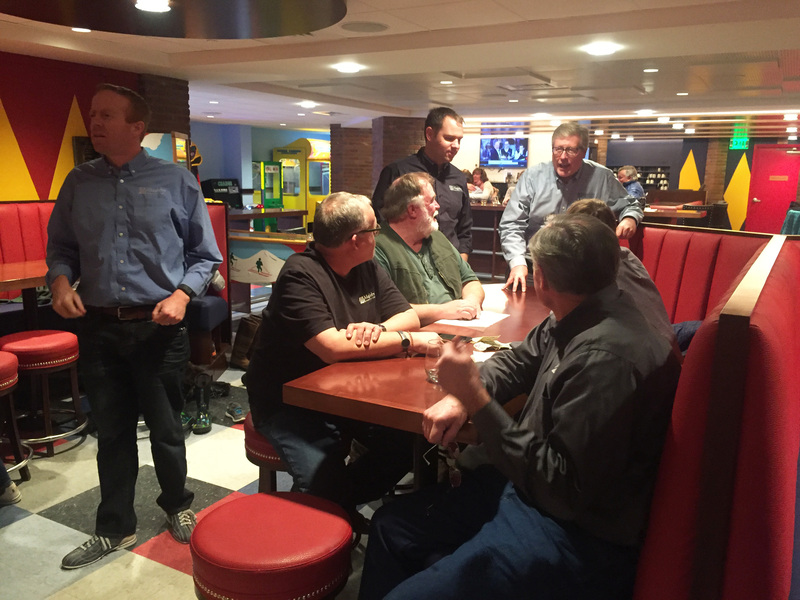 Leadership Team members, including Chad and Paul Magleby, Layne Thompson, and Todd Christensen, were in attendance. The class was taught by Magleby Construction’s local trade partner Pete Schwartz with Altitude Insulation where project and site managers learned about insulation specific building science- including how to properly install vapor and water barriers. Magleby Construction is dedicated to our employee’s safety and education as they are out on site building dream homes. 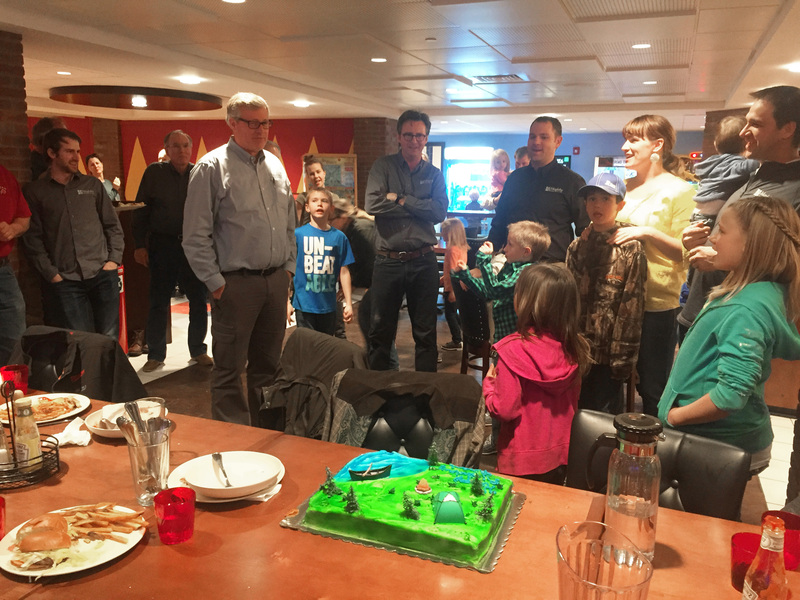 Congratulations Mark Snow! Mark has been named the employee of the month for the month of March 2017. 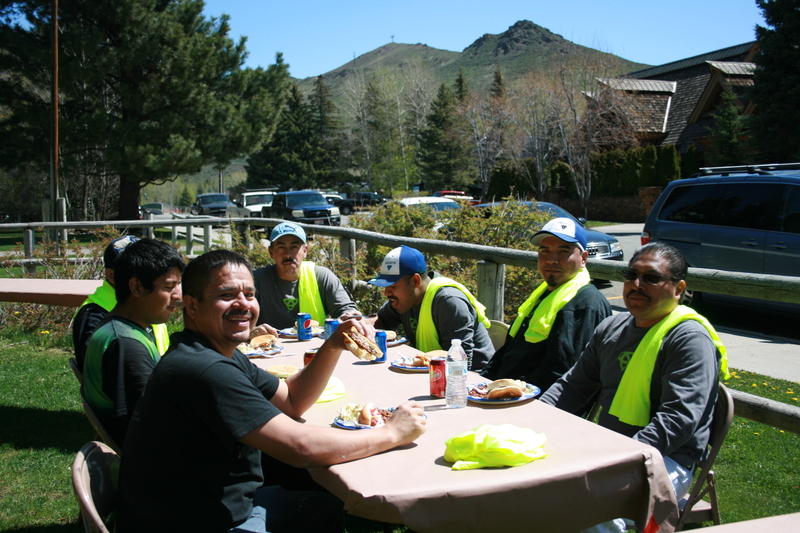 One of Magleby Construction’s Cultural Beliefs is “Do It Right”. Mark Snow implements this belief into his everyday life as he teaches new employees, offers help when needed, and is always professional and thorough with his work. 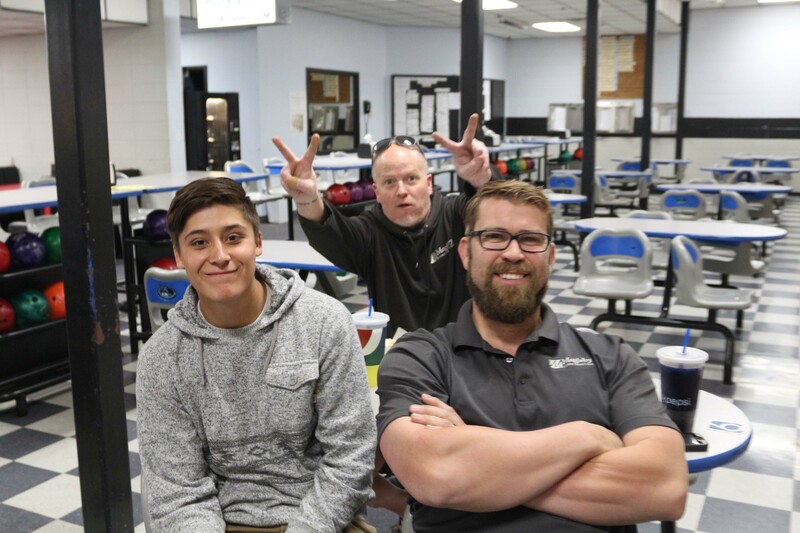 Mark has a great responsibility as several of our new employees start under his group; he uses that opportunity to teach new employees Magleby Construction’s standards and set them in the right direction. We appreciate you Mark! Thank you for setting the bar high and representing Magleby Construction! Congratulations!!! 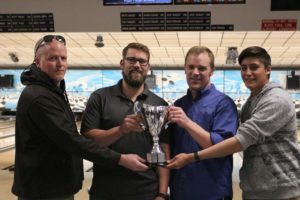 Congratulations to the winning team of the 2017 Spring Bowling League! The winning team included: Gabriel Prettypaint, Ryan Alleman, Scott Shumway, and Zach Hassell! 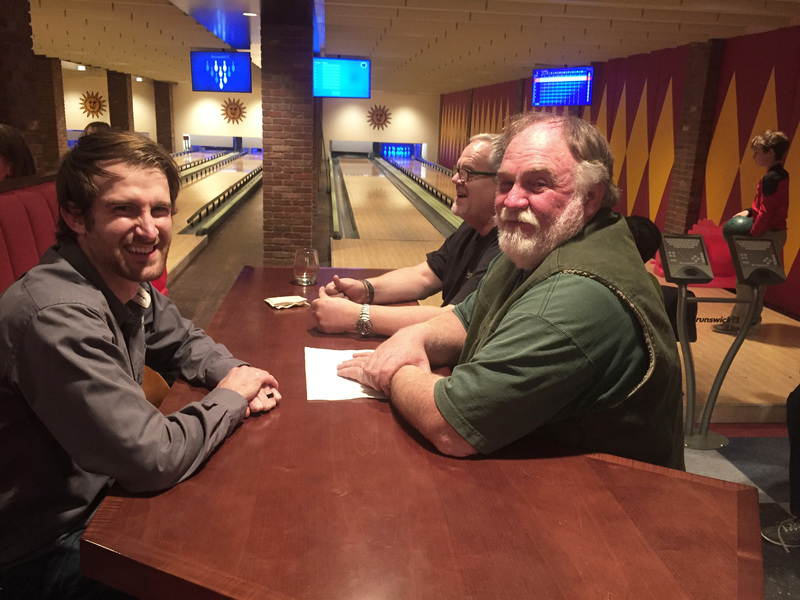 In addition to having their names on the Magleby Construction bowling trophy they each received a $50 cash prize. Way to go team! 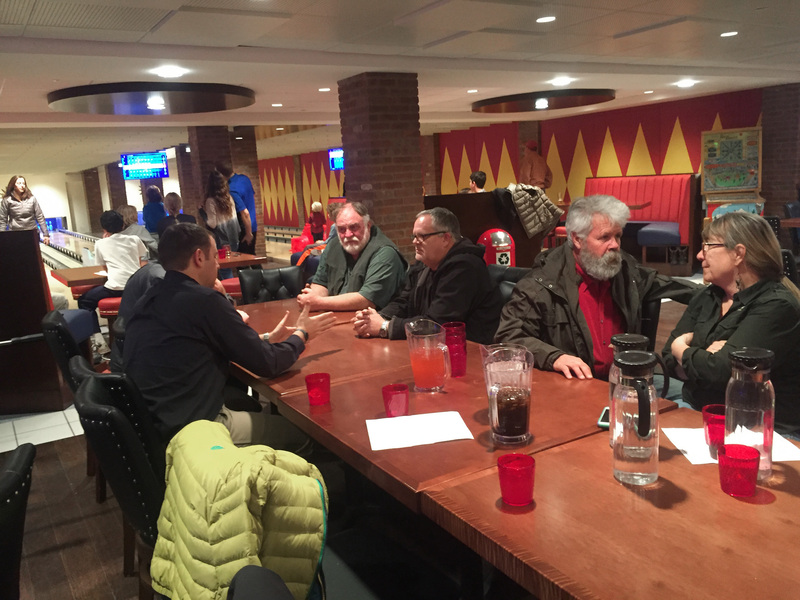 And a big thanks to Jack and Jill’s bowling lane in American fork for hosting the event year after year! Magleby Construction Takes 3rd Place! Congratulations wellness participants! 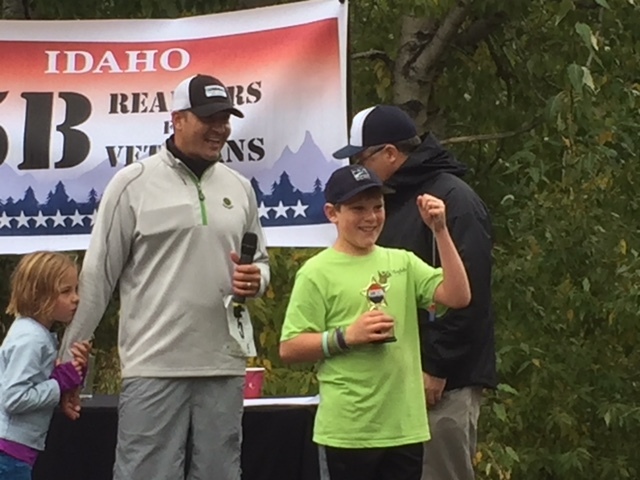 Magleby Construction took 3rd place for the “chillest company” in the VASA “Destination Relaxation” challenge! We applaud those who participated in this challenge as we learned how to relieve stress and truly relax. Congratulations again Magleby Construction Wellness Participants! Our spring 2017 Magleby Bowling League continues! The 6 week competition has brought laughter and joy to our fellow Magleby Construction employees. We will wrap the competition up this Thursday as we hold the final bowling tournament! Good luck Magleby teams! 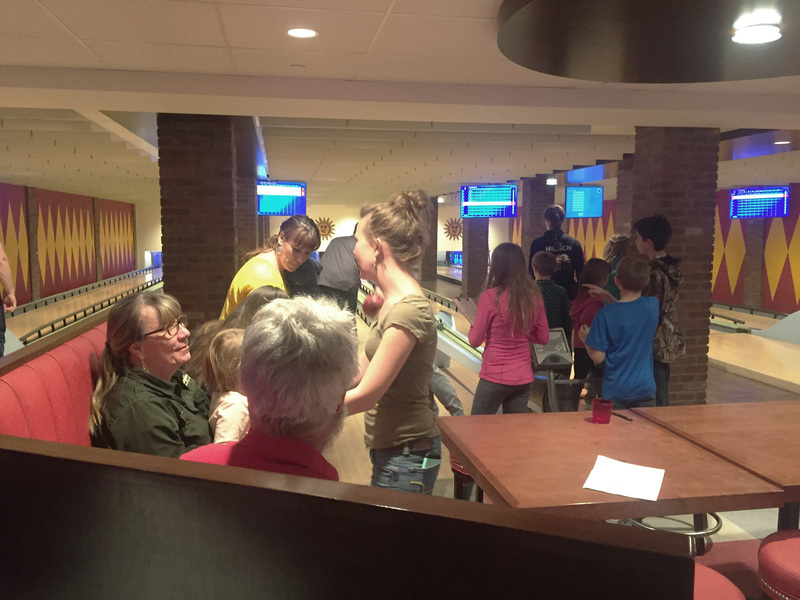 And a big thanks to Jack & Jill bowling lane in American Fork for hosting the event year after year. At Magleby Construction we’re fortunate to be based in a state with such versatile ski resorts and slopes. 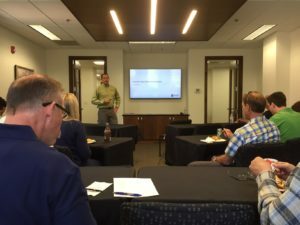 Dallas News recently posted an article featuring Magleby Construction’s CEO Chad Magleby discussing this very topic. 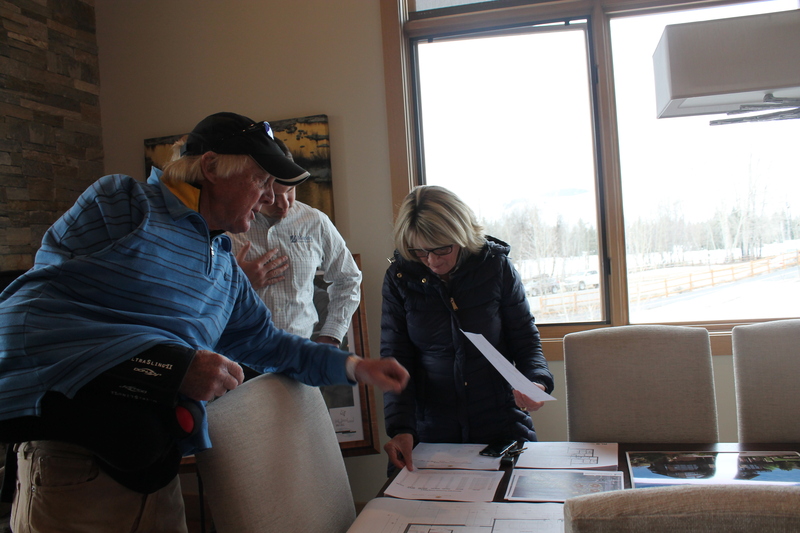 Magleby Construction is currently building the Stein Eriksen Residences near Deer Valley and one of the world’s top ski resorts. Chad says many Texans have been buying there after experiencing the rad ski conditions in Utah. Check out the article at http://www.dallasnews.com/life/travel/2017/02/20/whether-beginner-expert-go-wrong-utah-ski-resorts. 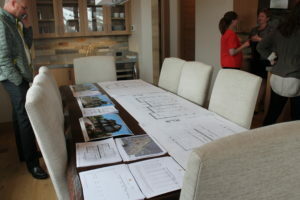 For more information about the Stein Eriksen Residences and Magleby Construction visit http://maglebyconstruction.com/estatehomes/project/stein-eriksen-residence-1/. Magleby Construction was proudly awarded “2016 NGBS Green Partners of Excellence” by the Home Innovation Research Labs. We were awarded this award because we “Preform better than what is minimally required and offer a compelling example to out sector peers” as stated by the Excellence in Green Power Use. Magleby Construction’s homes are produced with the utmost consideration to lasting quality and economic innovations that protect health, safety, and the environment. 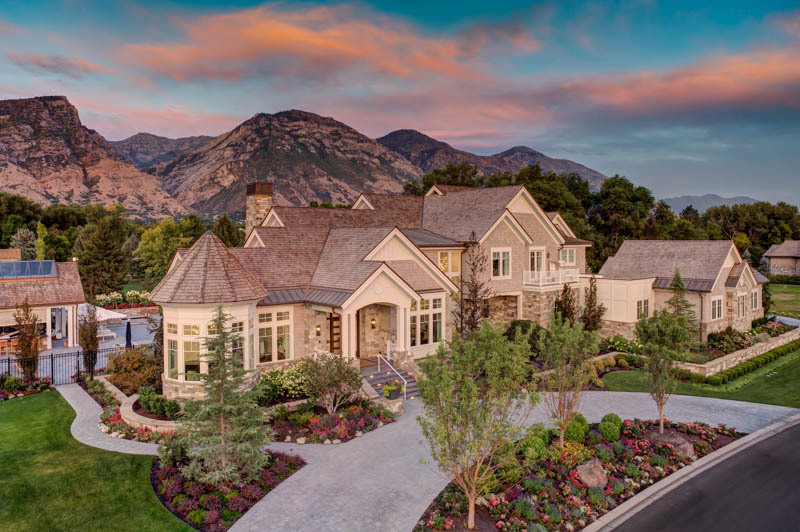 “HOUSE TOUR: AN OREM, UTAH FAMILY GETS THE DREAM HOUSE THEY ALWAYS WANTED” by Jessica Cumberbatch Anderson. 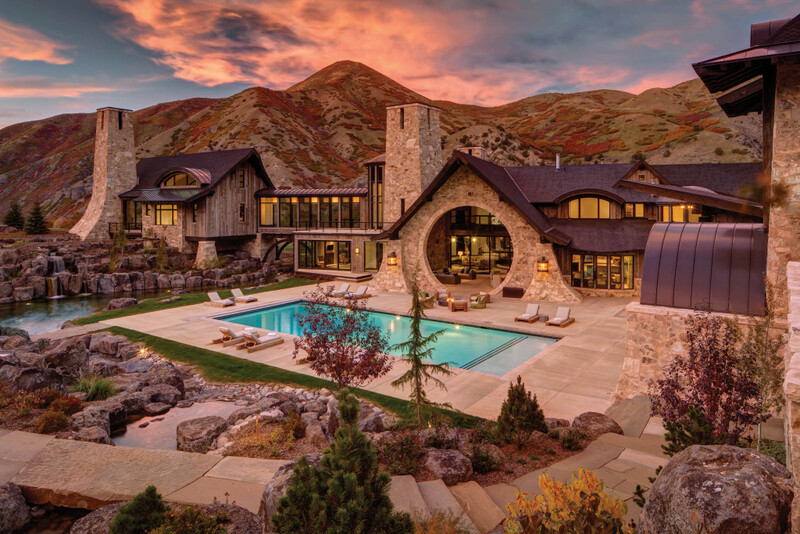 Check out the home in Orem, Utah built by Magleby Construction featured on the Elle Décor magazine! Magleby Construction along with Alice Lane Home Collection helped this family have the home they have always dreamed of. 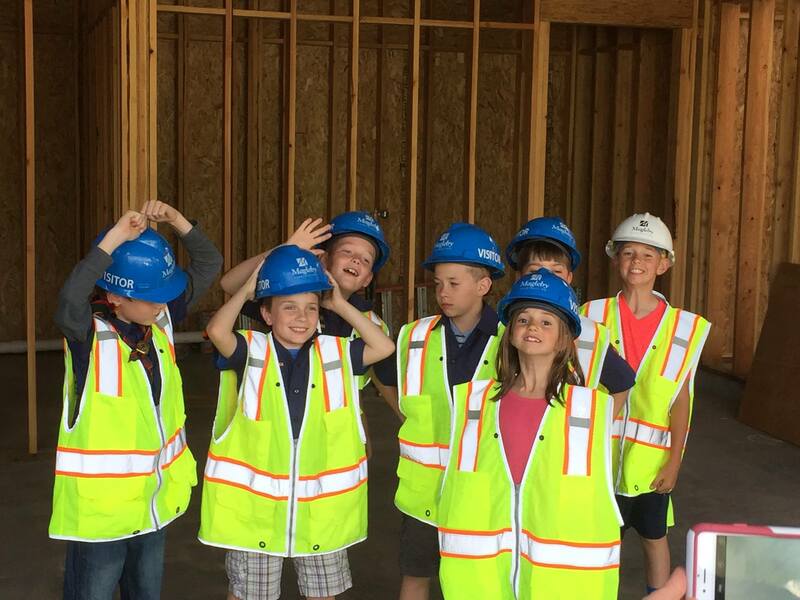 Magleby Construction’s motto “You Dream, We Build” plays perfectly in this article as we see the home that a family of 8 has always dreamed of become reality. Magleby Construction ensures the best possible home design and building experience as we build your dream home. 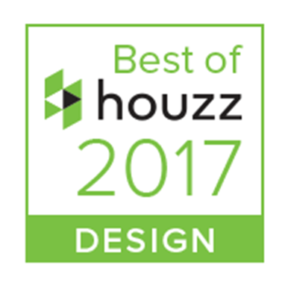 Magleby Construction is proud to announce their recent award, the “Best of Houzz 2017”. Since 1974, Magleby Construction has been persistent in their dedication to a higher standard of building. Magleby exceeds excellence, and always produces homes with the utmost consideration to a lasting quality. The August Employee of the Month is Bruce Rafiner. 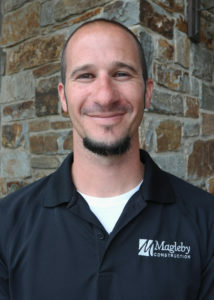 Bruce has been with the Magleby Construction team since April. He is currently working in the Masterpiece International commercial group as Project Manager. Ted Milner says that Bruce “has rolled up his sleeves to taken on the role as Site Manager, as well [of a medical clinic project]”. Bruce “has gone about organizing and managing our multiple installation teams & coordinated the rescue efforts of our trade partners’ failings. By doing so, he has preserved our Cultural Belief of Finish Strong, and has demonstrated the Key Result of Every Employee Accountable!” Great job, Bruce!! Thank you for exemplifying your role within the Magleby Construction umbrella. Congratulations to Dallan LaForett who has been chosen as the July Employee of the Month by his peers. 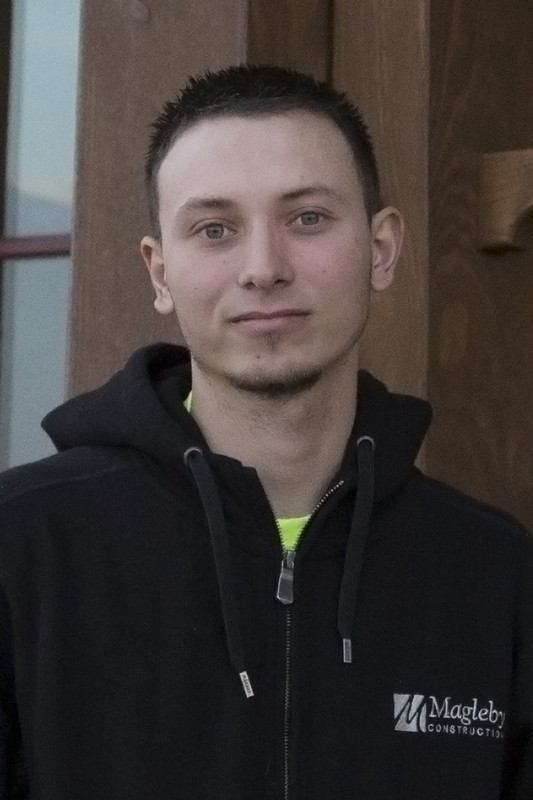 Dallan has been with Magleby Construction since September of 2014 where he started in the Carpentry Group. Currently he is helping out at the Stein Eriksen Residences project. It is said that “he has developed many talents and has shown excellent craftsmanship. He strives to do the job right and is willing to take on any task. 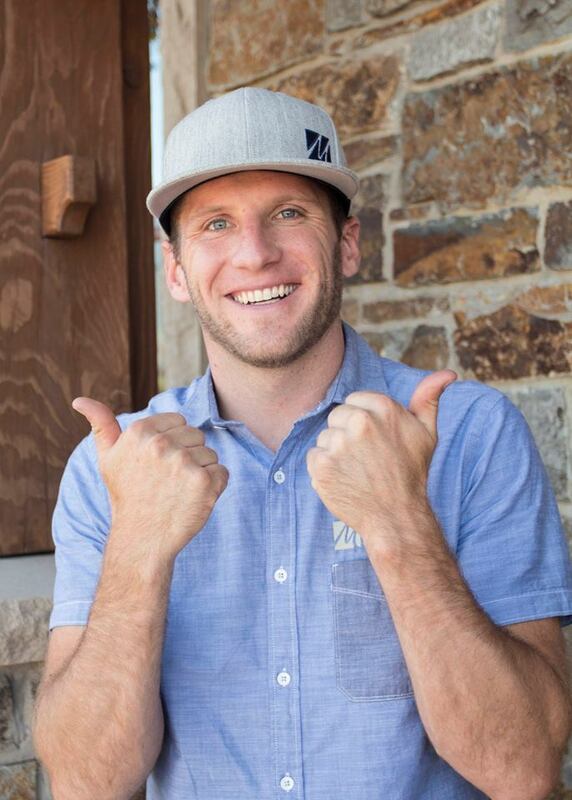 He is dependable and very eager to learn.” Despite challenges in his personal life, Dallan continues to exemplify the Magleby Cultural Belief of Perpetuate Excellence by seeking to actively learn and teach the Magleby Construction way of Building Excellence. 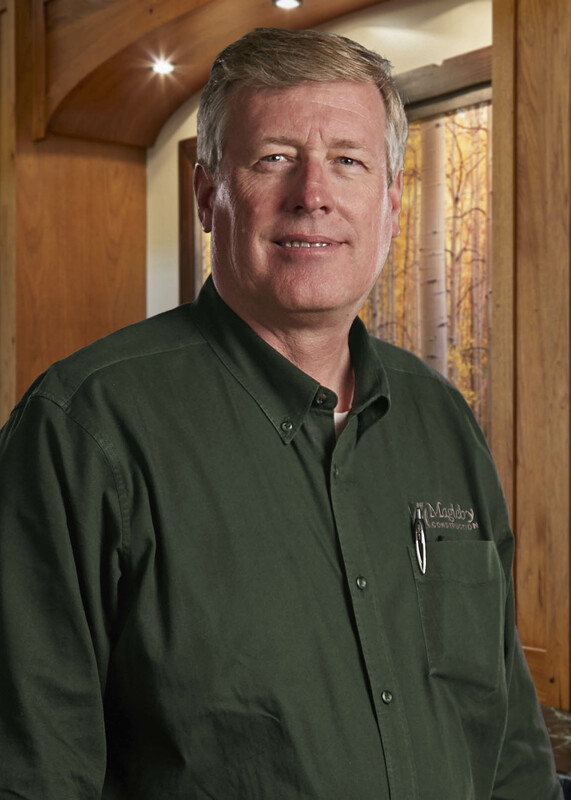 Dallan is yet another example of the many outstanding employees Magleby Construction is grateful to be comprised of. Thanks Dallan! 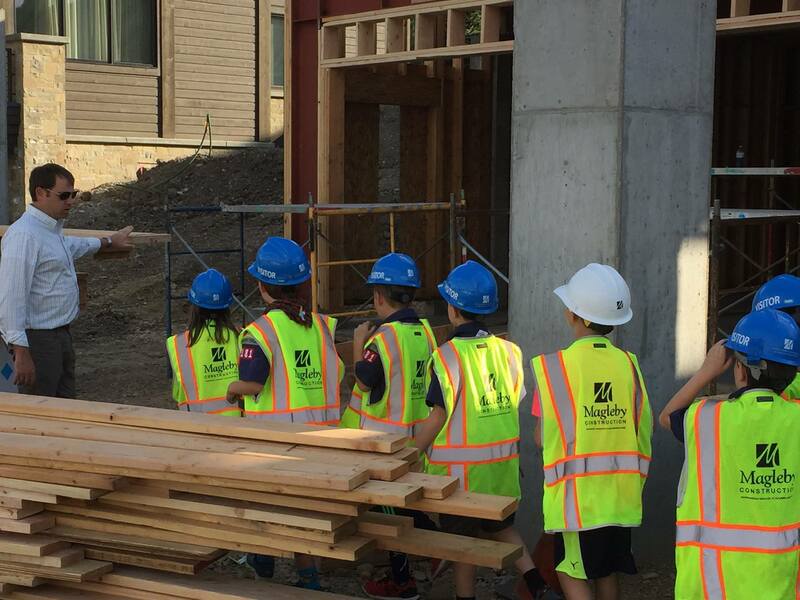 Magleby Construction Sun Valley hosted a group of Cub Scouts at the Diamond Back project earlier this week. 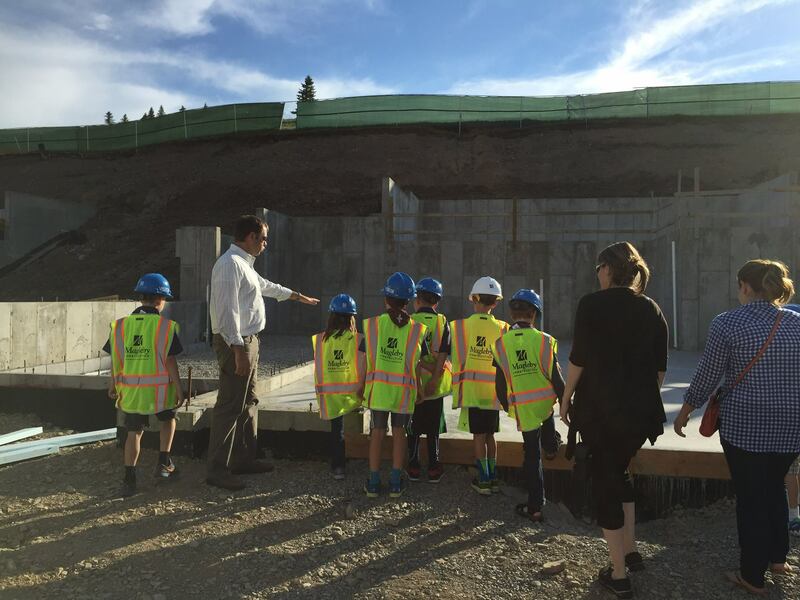 Chad, Layne and Brad answered several questions the boys had regarding construction and gave them a tour of the site. 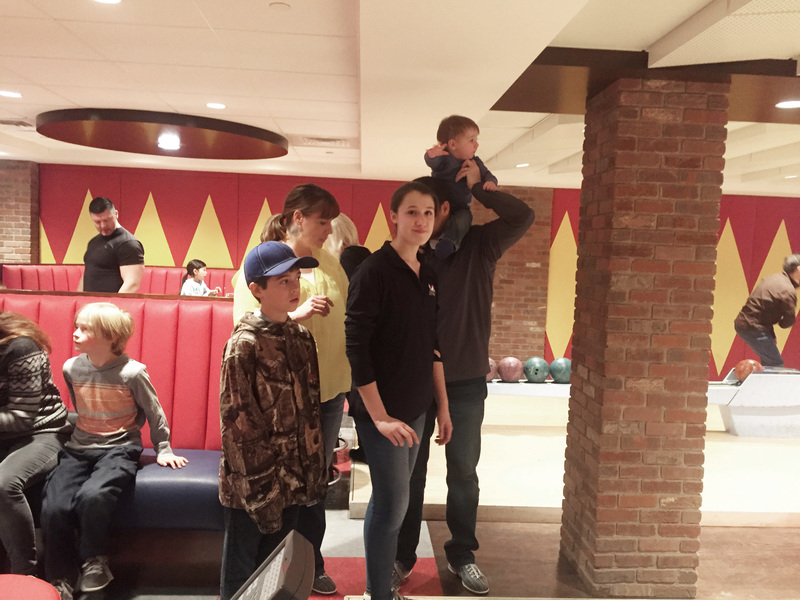 We had a fabulous time at the Sun Valley Bowling night! 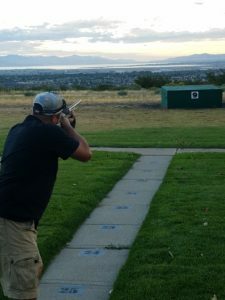 There was food, great friends/family, fun time, good friendly competition and a birthday celebration for Brad. Thank you to all those who set it up!! 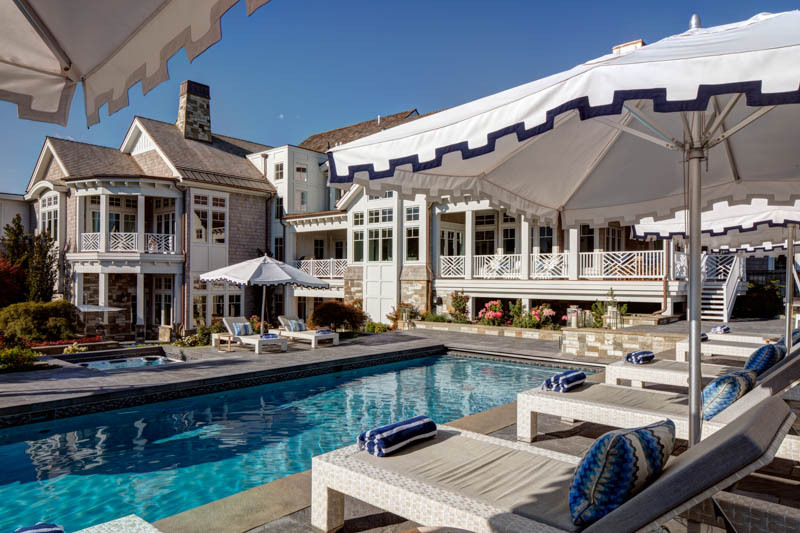 Best in American Living is one of the oldest design awards in the country. 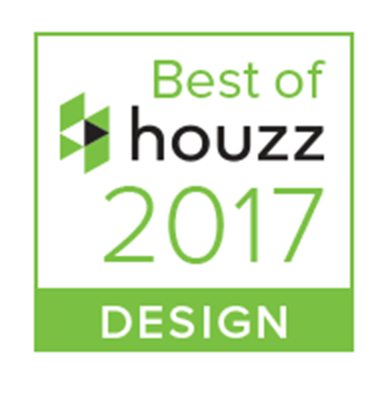 Sponsored by the Design Committee of the National Association of Home Builders, this award recognizes the best in design for the entire country. 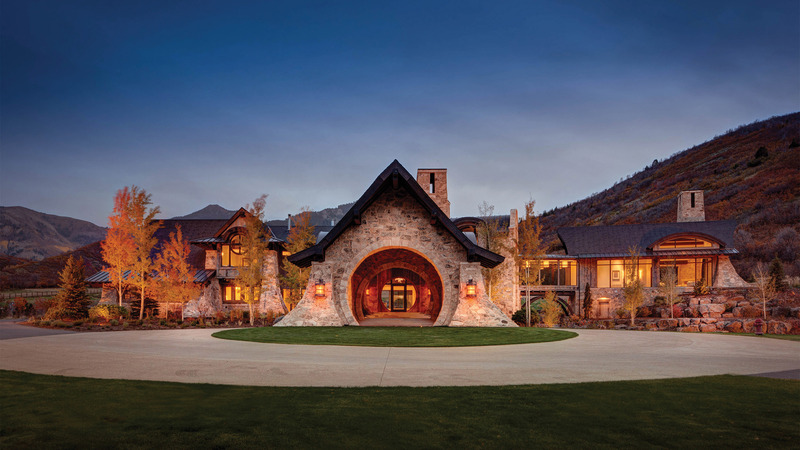 The Mountain Villa won the Platinum Award for homes over 8,000 sq.ft., the Custom Home of the Year for the Mountain Region and the WOW award. The committee created the WOW award just for this home as they were wowed by the design and quality of construction. Each of these awards reflects Building Excellence and is a reflection on the team of professionals that work on all Magleby projects. Congratulations to Kelly Ewell and Brian Bird who lead the team that created this award winning masterpiece. 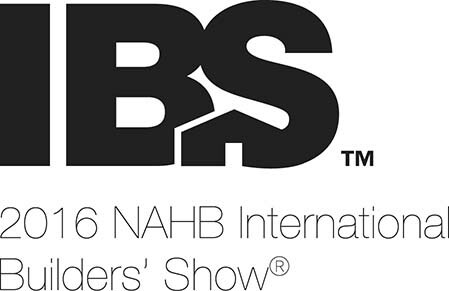 The NAHB International Builders’ Show (IBS) is just days away and many of our Magleby employees will be attending. IBS is the largest annual light construction show in the world, every year attracting 50,000 visitors from more than 100 countries. Attendees have an opportunity to see new products, mingle with many other colleagues in the same field, attend construction related courses, or even teach a course. Visit http://buildersshow.com/Home/ for more information. Thursday, May 21st, is the May Employee Enrichment class of Photography 101. Matt Palmer will be instructing the class on how to take the best photos from your cell phone. If you bring a camera, he can let you know some basics on photo taking with your camera. The class will be in the training room of the office starting at 7pm until 9pm. Please contact Nicole Evans by Tuesday, May 19th to sign up for the course. nevans@maglebyconstruction.com. 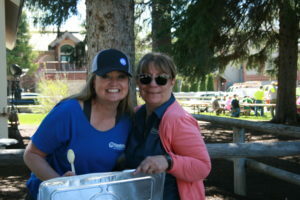 This month’s employee enrichment will be on April 22nd (Wednesday) at 5:30pm in the parking lot of the office. Brad Simons will show off his outdoor cooking skills and show us how to prepare outdoor food using various outdoor cooking equipment. Food will be prepared and available for tasting. 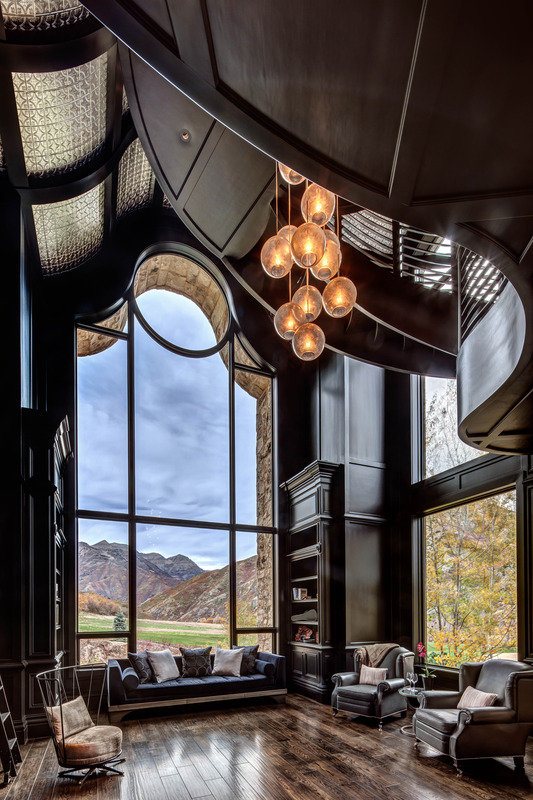 Please RSVP to Nicole Evans at nevans@maglebyconstruction.com or by calling at 801-785-9998 by April 17th. 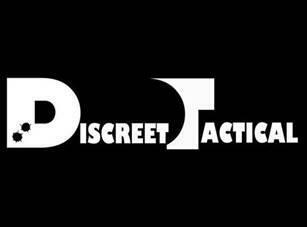 This month’s employee enrichment course is a Concealed Carry class taught by Discreet Tactical. It will be on March 21st (Saturday) at the office and will last 4 hours, starting at 8am and ending at noon. Magleby will cover the training cost for employees and their spouse ($40 value), but each employee/spouse will be responsible for the state fees (about $69). The state fees will cover your background check and creation of your ID card and applicants have 1 year to submit their paperwork to the state from the date of the class. You’ll get the instruction, a picture for your ID card, and fingerprint cards at the class. Friends can also attend the class, but will need to pay the training cost as well as the state fees. We’ll need at least 10 people to sign up for the class with a hard yes – meaning they will definitely be in attendance – in order to hold the class. Please let me know if you, your spouse and/or your friends would like to come. Please reply to sign up by March 18th.